This site is located in the buffer zone of Meshchera National Park, 1 km south from the village of Bolshiye Ostrova. The site constitutes the northern part of the 11,943 ha raised bog massif of Ostrovskoye. 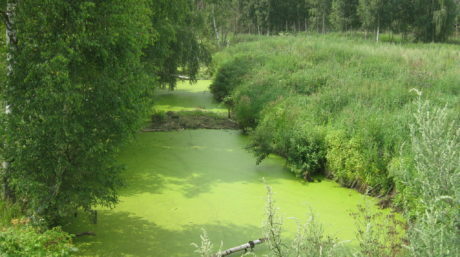 The major drained portion of Ostrovskoye, located within the borders of Meshchera NP, was rewetted in previous years. The remaining cutover site adjoins the national park’s area posing fire hazard to the Meshchera natural ecosystems. 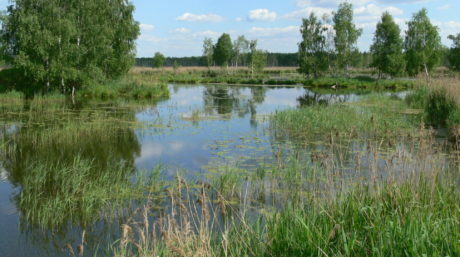 This site was identified as a priority site for ecological rewetting by the Administration of the Vladimir Province, in the framework of the Action Plan for the implementation of the Russian-German project on “Restoring peatlands in Russia – for fire prevention and climate change mitigation” in the Vladimir Province. This peatland was used for peat production from the 1952 to 1992. 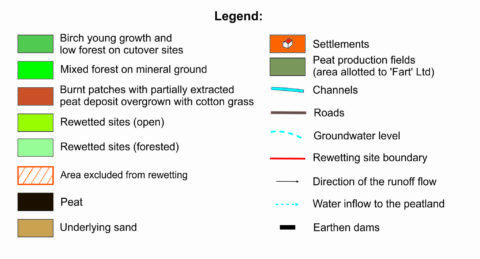 Originally, peat was extracted by means of hydraulic harvesting that gave way to milling in the 1960s. 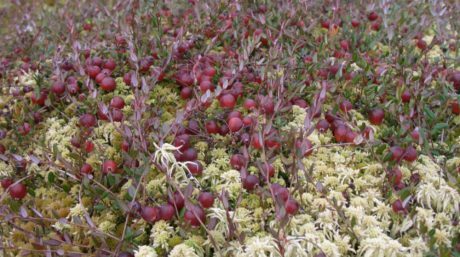 Presently, the peatland is growing over, as there has not been any peat production there in the last decades. However, restoration of the vegetation cover is impeded by regular fires that have entailed the formation of birch-cotton grass and cotton grass-sphagnum communities. 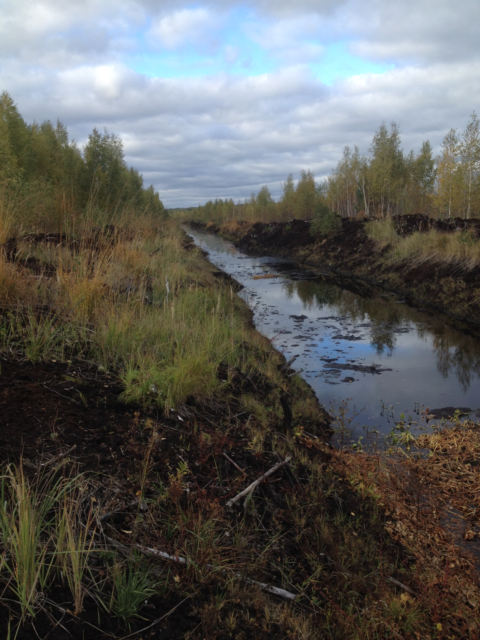 Rewetting design for a 165 ha site was prepared under the ‘Restoring peatlands in Russia’ Project in 2017. The practical rewetting activities were performed by the local earthwork company of “IGMATEX” Ltd. in November-December 2018. These activities were generously supported by the International Investment Bank. 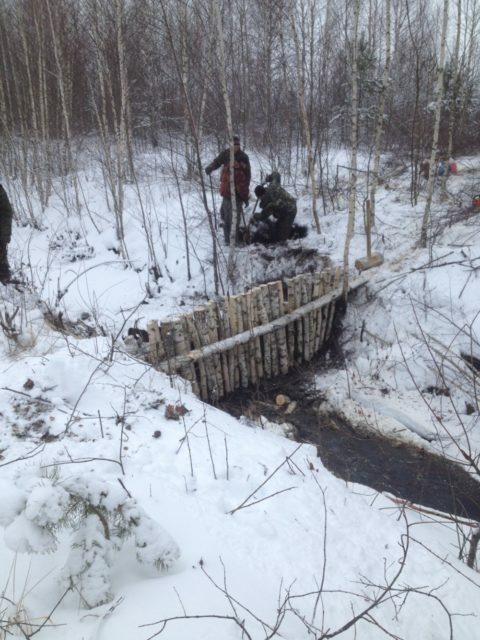 Ten dams were installed to block active drainage channels providing for water retention at the drained peatland. Seven peat dams were constructed using a Hitachi excavator, and three wooden dams, manually. 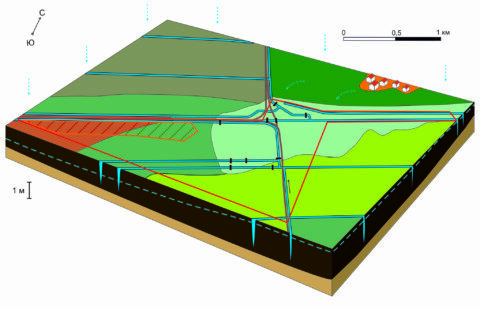 The construction of these dams provides for raising the water table throughout the whole 165 ha area. However, it turned out that a part of the site (12 ha) along its northern boundary has been occupied with abandoned piles of peat. To ensure proper rewetting of this plot, the peat piles should be removed bringing the peatland surface closer to the water table. 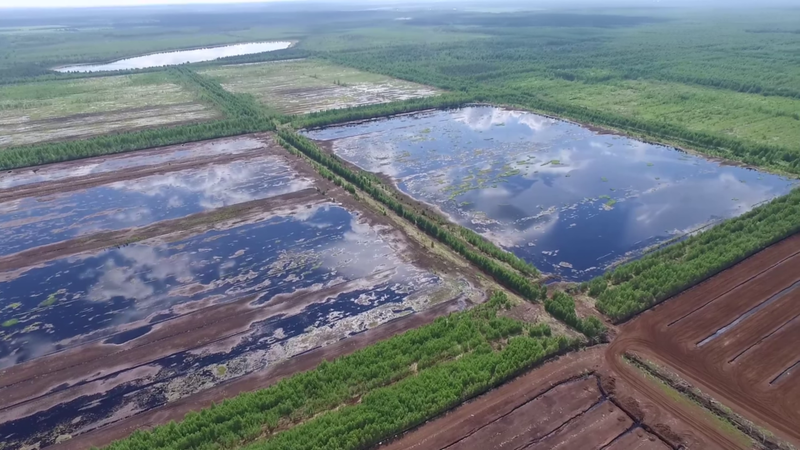 The rewetting activities implemented in the Sobinsky District will therefore affect 153 ha of adjacent peatland areas, thus providing conditions for the restoration of peatland ecosystems. The fire risks have been reduced considerably in these areas. The Meshchera National Park will take responsibility for long-term ecological monitoring at the site and surrounding areas.